On Tuesday of last week, March 22, I chaired a daylong session on Energy Crops at the World Biofuels Markets conference in Rotterdam, the Netherlands, and also presented a talk at one panel of this session. The Energy Crops session consisted of four panels over the course of the day on Tuesday, March 22. In the previous blog entry, I summarized the presentations and discussion on the first two panels, and in this entry, I’ll briefly summarize the presentations at the final two sessions of the panel. The third panel of the Energy Crops session focused on “Feedstock Systems and Cropping”. For myself, and perhaps for others in the audience coming to the field from the perspective of biological training or experience, the subject matter of this panel was unfamiliar, but at times eye-opening, and clearly important for the commercial use of energy crops in biofuel manufacture. The presentations were devoted to discussions of the ways in which the yield of biofuel from various plant feedstocks can be negatively affected by certain common cropping, harvesting and processing practices, and how these can be overcome to increase fuel yield. The first speaker was Gavin Maxwell of Coolfin Partnership, who discussed the need to minimize “pre-farmgate” costs and waste in the harvesting and processing of energy feedstocks. His particular example was the use of Miscanthus canes to yield pellets for use in bioenergy production, where seemingly routine practices like the mechanical chopping of the canes to create the pellets can result in potentially significant economic losses due to abrasion of the cutting blades, resulting in contamination of the pellets with metal particles, thus reducing the efficiency of the pellets for their intended end use. John Finnan, of the Irish agriculture and food development authority Teagasc, then discussed similar types of losses or potential adverse economic effects resulting from harvesting practices, also focused on Miscanthus. Finnan reported on direct harvest losses (e.g. the amount of biomass left on the ground after harvesting) as well as indirect losses (e.g. yield decreases caused by compacting of the soil by harvesters and other farm machinery). Finally, Lucy Hopwood of the National Non-Food Crops Centre (NNFCC), the U.K.’s national center for biorenewable energy, fuels and materials, discussed a number of factors negatively affecting the logistics and efficiency of energy crop utilization, for example the fact that energy crops are not always grown in the areas where they are most needed for energy generation, thus increasing transportation costs and harming the bottom line. Together, this panel made a compelling case that, although the impact of any one of these many factors may be small, together they can add up to significant yield decreases, and concomitant economic disadvantage, for the growers and processors of energy crops. The fourth and final panel of the session was devoted to “New Generation Plant Biotech”. My talk led off the session, and I presented an overview of the approaches being taken to apply genetic engineering and other advanced biotechnologies to the improvement of energy crops. I have already previewed my talk elsewhere in this blog, and the slides from my presentation are now available at my SlideShare site, so I won’t describe my talk here. There were planned to be three additional speakers on the panel, but the speaker from Kaiima was unable to attend, and so we heard presentations only from FuturaGene and Life Technologies. Stanley Hirsch of FuturaGene gave a broad overview of his company’s activities in developing improved energy crops, particularly including improved varieties of Eucalyptus, which FuturaGene has been field testing in Brazil and elsewhere in the world. He described some of the company’s strategies to enhance the growth rate of these crops, as well as to enhance the availability of free cellulose molecules in plant tissue to better enable digestion of the biomass in the preprocessing stages of cellulosic ethanol production. The final speaker was Nathan Wood of Life Technologies, who discussed his company’s activities in cutting-edge genomics as they applied to the biofuels sector, including the company’s work with SG Biofuels in sequencing the Jatropha genome. This last panel concluded a long and rewarding day of interesting presentations, discussing research and innovations taking place along various stages of the life cycle of energy crops as they are used to produce biofuels. I won’t be blogging about any of the other sessions at the World Biofuels Markets conference, but I found the conference to be quite useful in exposing participants to so many different aspects of the biofuels business, including in my case exposure to issues relating to international fuel standards and sustainability standards as they apply to the production of biofuels, which I expect will be useful to me in the future. D. Glass Associates, Inc. is a consulting company specializing in several fields of biotechnology. David Glass, Ph.D. is a veteran of nearly thirty years in the biotech industry, with expertise in patents, technology licensing, industrial biotechnology regulatory affairs, and market and technology assessments. This blog provides back-up and expanded content to complement a presentation Dr. Glass made at the EUEC 2010 conference on February 2, 2010 entitled “Prospects for the Use of Genetic Engineering in Biofuel Production.” The slides from that presentation, along with more information on D. Glass Associates’ regulatory affairs consulting capabilities, are available at www.slideshare.net/djglass99 or at www.dglassassociates.com. The views expressed in this blog are those of Dr. Glass and D. Glass Associates and do not represent the views of any other organization with which Dr. Glass is affiliated. On Tuesday of this week, March 22, I chaired a daylong session on Energy Crops at the World Biofuels Markets conference in Rotterdam, the Netherlands, and I also presented a talk at one panel of this session. I’ll briefly summarize the presentations at the first two sessions of the panel in this entry, with a summary of the other two sessions to follow in a separate posting. According to the conference website, the World Biofuels Markets conference is “a 3 day ’one stop shop’ [that will] assemble the entire biofuels value chain and accelerate the commercialization of sustainable mobility”. The conference features three days of concurrent sessions on topics including bioethanol, military biofuels, aviation biofuels, advanced biofuels, algae, energy crops, and several sessions on the economic and business aspects of the biofuel business. The meeting is being held at the World Trade Center in Rotterdam, the Netherlands, a modern well-equipped facility for professional conferences right in the bustling downtown area of the city. As I write this entry, the conference is winding down, with just one session of panels to go before the meeting concludes. The Energy Crops session consisted of four panels over the course of the day on Tuesday, March 22. The first panel, “High Powered Energy Crops” featured discussion of new feedstocks such as switchgrass, Miscanthus and others. Caroline Midgley of LMC International began the session with a talk entitled “Can energy crops compete with residues and woody biomass”, a presentation based on economic analysis conducted by her firm. The conclusions of the study were that most countries have adequate existing supplies of biomass that can be used to generate biofuels (e.g. agricultural residues, forest biomass), and that dedicated energy crops may “struggle to compete” with such biofuel feedstocks. 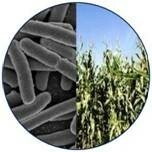 However, the study did conclude that energy crops may offer better potential for cost reductions in the future. Neal Gutterson, CEO of Mendel Biotechnology, then spoke about his company’s efforts to develop the high-biomass grassy species Miscanthus as an energy crop. The germplasm of Miscanthus that is currently used is a sterile hybrid of two species, and must be propagated from rootstock or rhizomes. Mendel’s approach is to develop a system where Miscanthus could instead be sold as seeds, and they have done this by creating a fertile tetraploid strain of this crop, from which significant yield increases have been seen. Gutterson also spoke of the company’s other strain development efforts and their programs to assess and assure the sustainability of their products. The final speaker of the panel was Tania de Grave-Curado of AgrenNewEnergy, that is developing a novel oilseed crop, crambe (Crambe abyssinica) that offers some potential advantages for use as a biodiesel feedstock, such as a short growing season (90 days to harvest) and lower water requirements than other crops. Although some of those in attendance were familiar with crambe, it was a new crop to most of us (myself included), and there was good audience discussion of these presentations. The second panel focused solely on Jatropha as an emerging energy crop, with speakers from the Jatropha Alliance, SG Biofuels, JOil, and D1 Oils. All the speakers discussed the need for universally-accepted industry standards for the development of this crop as well as the efforts to develop such standards. Sriram Srinivasan of JOil was the first speaker, and he discussed the company’s activities in developing Jatropha varieties with improved oil yield per hectare. The company is using traditional breeding as well as biotechnology to develop improved varieties. Thilo Zelt, the president of the Jatropha Alliance, next spoke about the efforts of his organization to promote standards for the prudent and sustainable use of Jatropha in the production of biofuels. Among other efforts, the Alliance is adopting the newly-released program of the Roundtable for Sustainable Biofuels (see below) for a self-certification process for sustainable biofuel production, and also relies on the RFTO standard from the UK for the assessment of CO2 emissions and carbon balance. The next speaker was Miguel Motta of SG Biofuels, who set out the company’s three-fold goal of addressing “Energy, Economics and Execution”. Motta said that Jatropha is currently economically viable and that the company’s JMax 100 variety is capable of producing fuel at $58 per barrel with additional improvement to $31 per barrel possible. SG Biofuels is also developing a hybrid seed technology for Jatropha. The final speaker on this panel was Henk Joos of Quinvita, a Jatropha producer that was recently spun out of D1 Oils. Joos discussed his company’s efforts to develop different Jatropha strains that are appropriate for each growing region and the need to “professionalize” Jatropha as biofuel crop. This panel generated a vigorous audience discussion, which focused on critical issues facing Jatropha’s role as a viable energy crop. The remaining panels of the Energy Crops session focused on “Feedstock Systems and Cropping” and “New Generation Plant Biotech”, and I will summarize these panels in the next blog entry in the next day or so. As a final note, there was a great deal of discussion throughout the conference regarding sustainability issues and the increasing effort to develop programs and procedures for certification of sustainability. As noted above, the Roundtable for Sustainable Biofuels recently announced its program for sustainability certification, and many of the talks at the meeting touched on this issue in one way or another. As I mentioned in an earlier blog entry, I will be chairing a daylong session on Energy Crops at the World Biofuels Markets conference in Rotterdam, the Netherlands, on March 22, 2011. I’ll also be presenting a talk at one panel of this session, and I’ll give a brief preview of the talk here. The conference website describes the World Biofuels Market conference as “a 3 day ’one stop shop’ [that will] assemble the entire biofuels value chain and accelerate the commercialization of sustainable mobility”. The conference features three days of concurrent sessions on topics including bioethanol, military biofuels, aviation biofuels, advanced biofuels, algae, energy crops, and several sessions on the economic and business aspects of the biofuel business. The Energy Crops session consists of four panels over the course of the day on Tuesday, March 22. The first session, “High Powered Energy Crops” will discuss new feedstocks such as switchgrass, miscanthus and camelina. The second session will focus solely on jatropha as an emerging energy crop, with scheduled speakers from the Jatropha Alliance, SG Biofuels, JOil, and D1 Oils. The first session of the afternoon will be on “Feedstock Systems and Cropping” and will focus on agricultural and agronomic techniques to improve yields of energy crops. The final session of the day will be devoted to “next generation plant biotech” and the role of plant science and genetics to influence energy crop development. My talk will be at this last session, and I’ll be presenting an overview of the potential uses of biotechnology to improve the plant species used as feedstocks for biofuel production. I’ll be accompanied on this panel by speakers from companies currently conducting such R&D. My talk will begin with an overview of the crop species that are considered for use as energy crops and the genetic engineering technologies that may be applicable to these plant species. In recent years, many academic research labs and companies have been applying genetic engineering or other advanced biological technologies to improve plants to create specially-tailored feedstocks for production of biofuels. There are several excellent review articles providing more comprehensive scientific reviews of research in this field, such as Sticklen 2006; Torney et al. 2007; Gressel 2007; Sticklen 2008; Weng et al. 2008; Hinchee et al. 2009; Hisano et al. 2009; Abramson et al. 2010 (Plant Science 178:61-72); Vega-Sanchez and Ronald 2010, and Simmons et al. 2010, among others. Techniques for genetic engineering of plants have been well-established for over twenty-five years, with the earliest methods for transforming dicotyledonous plants being developed in the mid-to-late 1980s and methods for transforming monocots (including most of the world’s important cereal crops) arriving several years later. Among the techniques available are the use of Agrobacterium, a microorganism naturally having the ability to inject its DNA into plant cells; electroporation, in which the DNA is transported into plant cells using electric current; and the “gene gun”, where DNA is adhered to extremely small nanospheres which are shot at high velocity into the cells. Today, virtually any plant species of any agricultural or industrial importance can be genetically engineered. The bulk of the talk will consist of descriptions of the most common strategies to use advanced biotechnology to improve energy crops. Although time constraints will require this to be a fairly brief overview, I’ll present some specific examples of companies and academic labs that are pursuing these strategies. These strategies are as follows. I’ll also present a list of the companies that are known to be using recombinant DNA or other advanced biotechnologies to improve energy feedstocks. I’ve previously profiled these companies in earlier entries in my blog – in a series of three entries beginning here, as well as an additional entry late last year profiling several other companies. In the next section of the talk, I’ll briefly summarize the impact of biotechnology regulations on these efforts to improve energy crops using biotechnology. This part of the talk will also deal with ground that I’ve covered in earlier entries in the blog, with several entries on U.S. regulation of transgenic plants, and others on the situation in Canada and Europe. I remain optimistic that improved energy crops can successfully navigate the regulatory process in countries like the U.S. and Canada, and that government regulation will not present an impossible roadblock to the industry. The recent, long-awaited U.S. approval for Syngenta’s corn variety expressing a thermostable amylase is an encouraging development. However, I hope to have time in the talk to at least mention the strong dissenting opinion that was put forward by Steven Strauss and colleagues at Oregon State University, in a provocative article in BioScience in October 2010. Strauss et al contend that the level of regulation imposed on transgenic plants in the U.S. and elsewhere is excessive and is not justified by scientific considerations, and these authors view these regulatory schemes as having, in the words of the title of their article “far-reaching deleterious impacts” on research with engineered perennial biofuel crops. Finally, I’ll conclude the talk with some very brief observations on the prospects for commercial success of engineered energy crops, and the obstacles they may face in reaching the market. I’ll be posting my slides after the talk, and will post a link in a blog entry shortly after the conference. I also hope to be blogging during or shortly after the conference to report on any interesting news or information that I may learn on topics relevant to the focus of this blog. As always, please feel free to comment or contact me with any questions you may have.